We all live busy lives and finding the time to decorate a pretty home often feels like luxury. However, there must be some ways to give our homes a new look without too much investment! The answer is to play with colors, objects, and lighting, and we’ve come up with a list of ideas arranged by the level of commitment—from rolling up your sleeves to indulging on a shopping trip. Here are 9 bold decor ideas to try right away! Create a reading nook, or a corner gallery to display your collections. For example, we borrow books from the library a lot but rarely finish them, so they actually become nice (free and rotating) decorations! 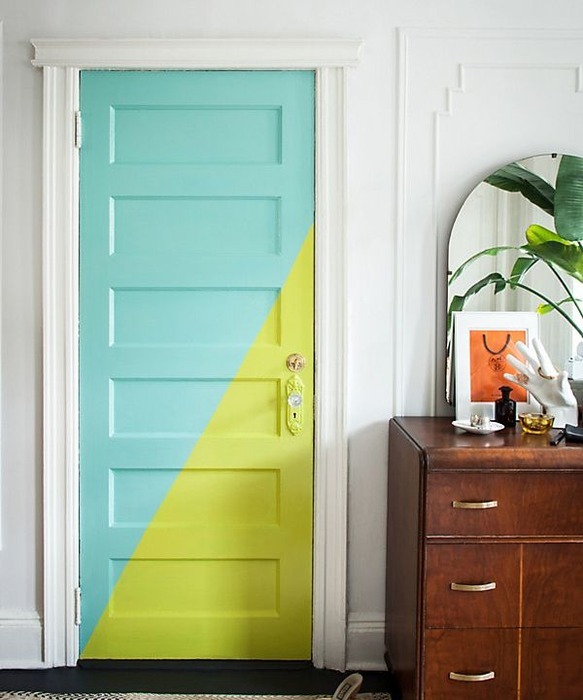 Painting a wall seems risky and intimidating for renters, but painting a door is much more doable and creative! If paint is still a no-no, try “painting” with washi tapes instead. 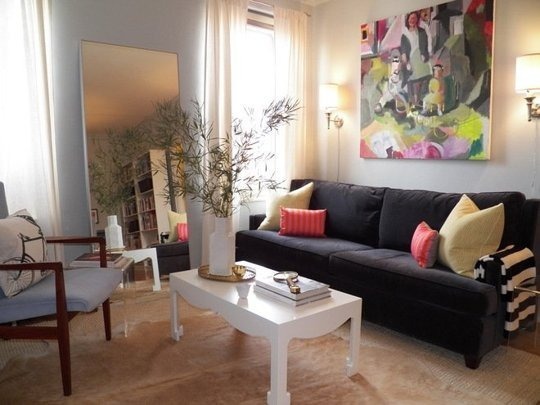 Are you bold enough to pick only one main visual for your space? 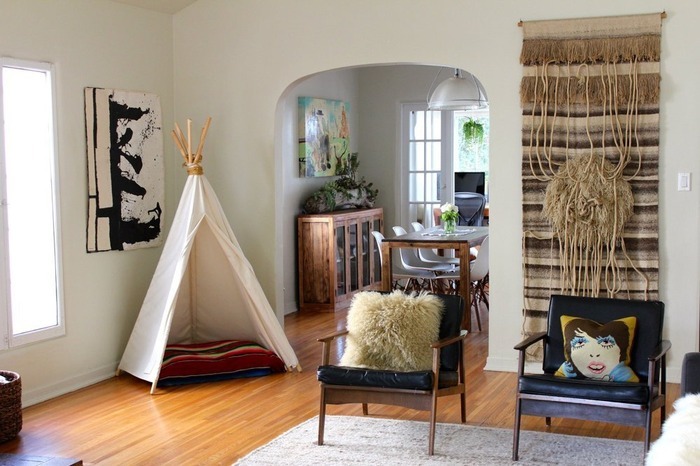 Hang a large tapestry and only keep decors and pillows that work with the theme. For example, a green Celtic tapestry that immediately sets a green, calming tone. Here are detailed advice from a designer! 1. Build a mobile cube. Cats love boxes for a good reason. It’s a special space! Create a full-size one for your special afternoon readings or set it up as a temporary bedroom for friends crashing in for the weekend. 2. Have a statement piece. Us humans have a very complicated relationship with objects! Whether you’re proud of your thrift collection or crazy about huge bird cages, put it in the spotlight. Actually, just bring a tree home: a plastic coconut tree, a real palm tree, or be resourceful and pick up an unwanted dead tree trunk in the neighborhood (like we did). When all fails, apply a large-size tree wall decal! 1. Hang a mirror or a reflective surface. Take advantage of natural light coming in from the windows. Place a mirror or reflective material next to or opposite of a window, and watch natural light bounce off and light up your space! 2. Create large lighting with bulbs and string lights. Instead of spending money on big light fixtures, buy bulbs and create your own! Drape bulbs from the ceiling and structure it as a pyramid, or twist LED lights around a thick rope or cloud-shaped cotton to create a theme. The ideas are endless. We especially love the idea of bringing the cosmos into the home. A moon or galaxy-inspired sphere light along with a few fluffy pillows and relaxing candles creates a peaceful corner to wind down in the evening. 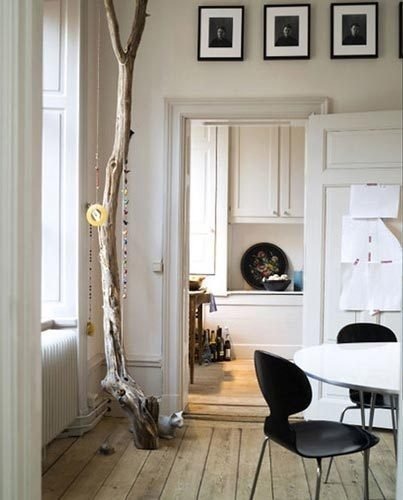 What do you think is the most efficient way to liven up the house? ► ► ► Display Your Book with This Transparent Bookmark!